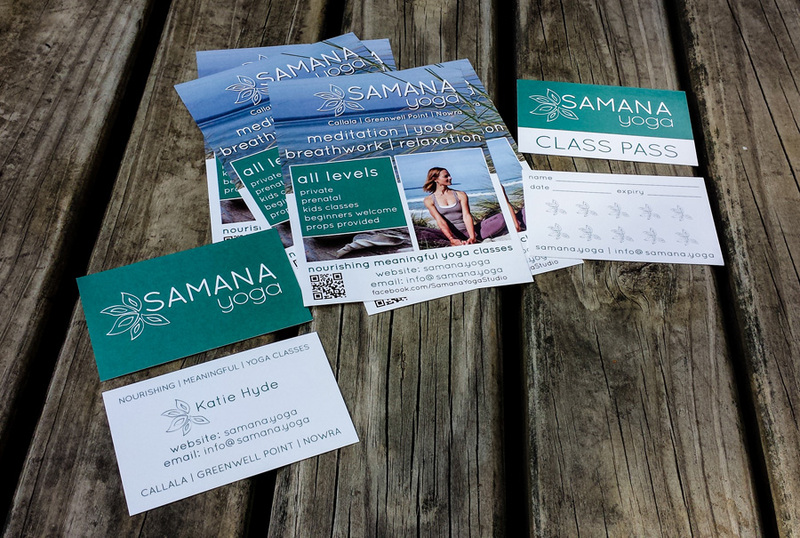 Katie from Samana Yoga offers personalised yoga and relaxation classes to all levels of experience in the Callala – Jervis Bay area. 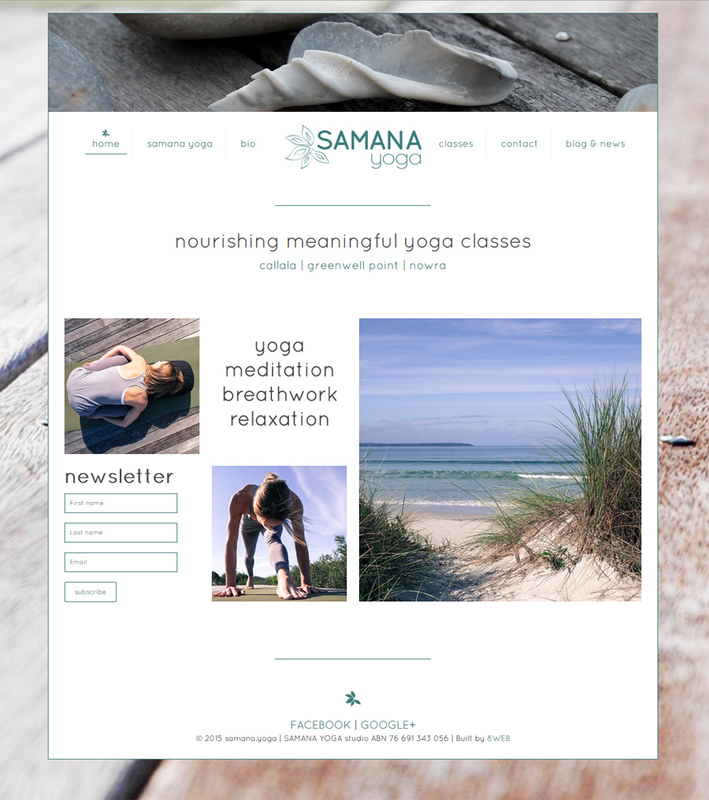 The Samana Yoga Studio project involved a complete small business start up package with: logo design, colour scheme planning, photography, design and printing of business cards, class passes and flyers, mobile friendly webdesign, newsletter plugin, hosting and ongoing support. Collaborating with Hela and Edwin at 8Web was an absolute dream come true for me. They instantly understood the vision for my business and in fact helped me to develop that vision way beyond what I had imagined. Their communication and work turnaround is unsurpassed. I was continually impressed and more importantly, at ease throughout this whole project. 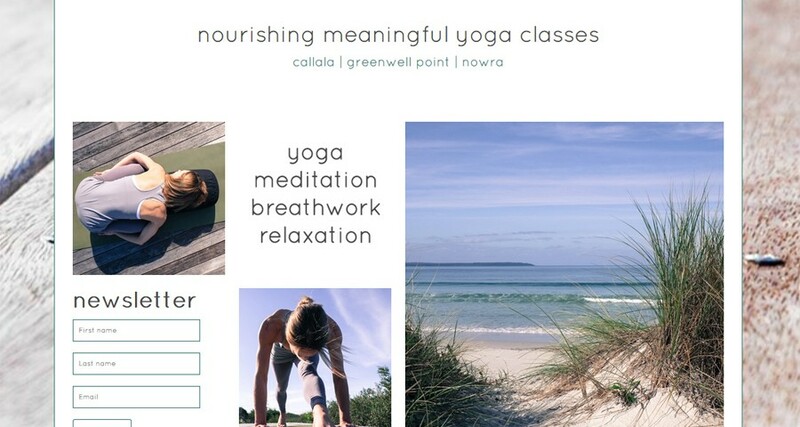 I found them to be extremely client focused, results driven, honest and humorous (I always looked forward to our business meetings!). I have and will continue to recommend 8Web to anyone looking to work with knowledgeable, professional and strongly creative web developers.